Termination letters play a key role in a certain workplace. Employers are mandated by the existing labor laws in their country that notice must be given before they fire or dismiss the services of a certain employee. Termination notice is a manifestation of due process in order for the employee’s side of the story to heard and reconciled. If worse comes to worst and the employer is full satisfied that the employee fails to abide the company rules or has committed acts that are considered as a ground for dismissal, then strong termination letters must be provided by the employer to the employee. Practical Steps in Writing an Employment Termination Letter? Enter the company name and adopt the company letterhead in the course of preparing the letter. It is highly-suggested that the name of the company will be properly designated. That is why in downloading termination letters in DOC, you must customize the content and format of the letter. Provide the reasons for the said termination. 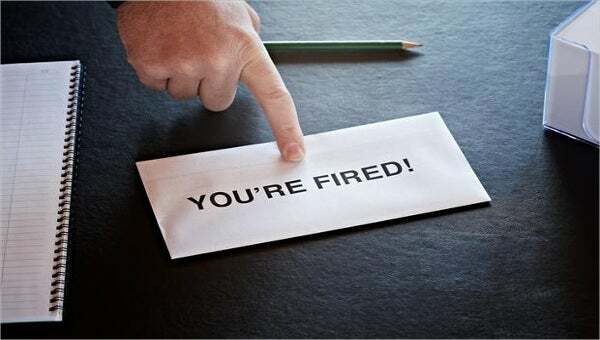 Termination by an employee is by virtue of a just cause such as breach of contract or gross misconduct, then the violated provisions of the employment contract must be cited together with the list of violations. Include statements indicating that the employer complied with the legal and legitimate procedures. Make sure that the employee must given due process such as notice and hearing. Provide statements regarding the return of all company properties that were in the custody of the employee. As shown in termination letter formats, you may provide a schedule and deadline for the compliance of such return. And lastly, the letter must be duly signed. Do follow all procedure mandated by the governing labor laws of your country. To be sure, you can consult legal professionals and experts for you to comply with the legal standards. Failing to do so, can be detrimental to your company as a whole. Don’t make generalizations. The causes for the termination must be clearly spelled out. Sample termination letters can serve as guides in explaining the causes for the termination provided that the contents of the sample applies or susceptible to modifications. Do use a positive, professional, and objective language. In writing the contents of the letter, you must take note of the tenor of the language used. Be objective and shy away from including your own subjective opinions and prejudices. Don’t forget to make several copies of the letter. A copy of the letter should be signed by the employee in order to acknowledge his or her receipt of the letter.